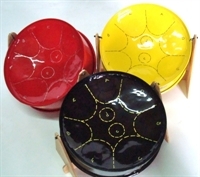 Premium protective leather case for individual Tenor steelpan instruments. 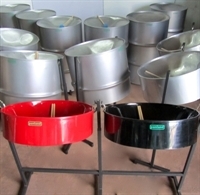 Carries one individual steelpan drum. Premium protective leather case for two-drum instruments (Double Tenor, Double Second), with convertible option to allow for individual drums in the mid-range (Guitar, Cello, Quadrophonic).